First Ever R2 Builders Sweden Gathering! 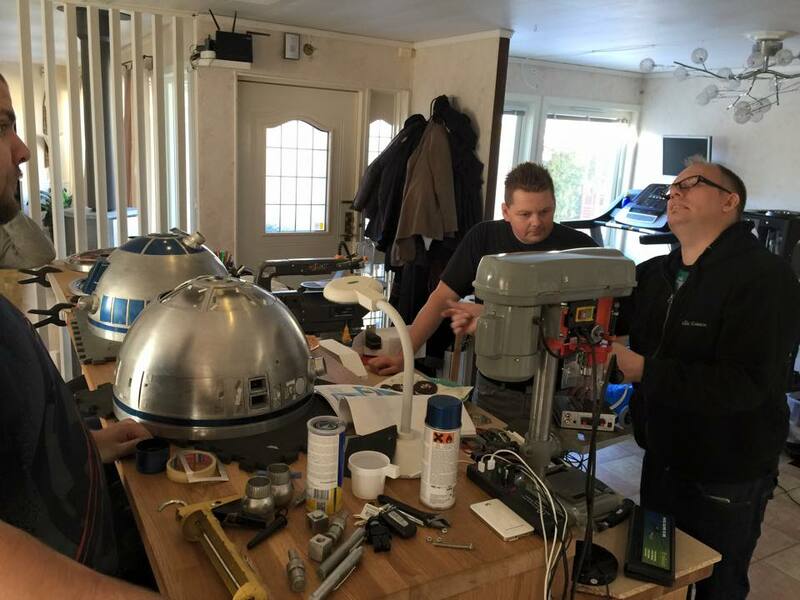 Home/Building/R2-D2/First Ever R2 Builders Sweden Gathering! 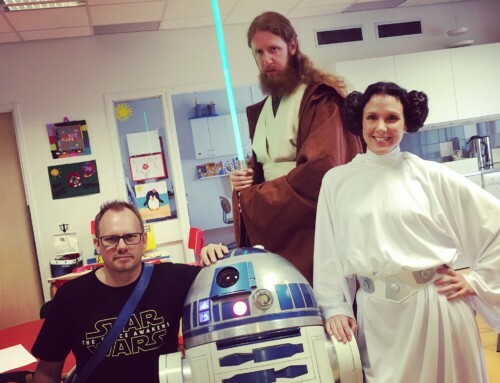 This weekend marked the first ever R2 Builders Sweden gathering! We met up at Nixon’s place, some had to travel further than others (think 600 kilometers, one way. (that’s 375 miles for you Americans). Funny that they still managed to show up earlier than me, who only lives about 32 kilometers (or 20 miles) away.. 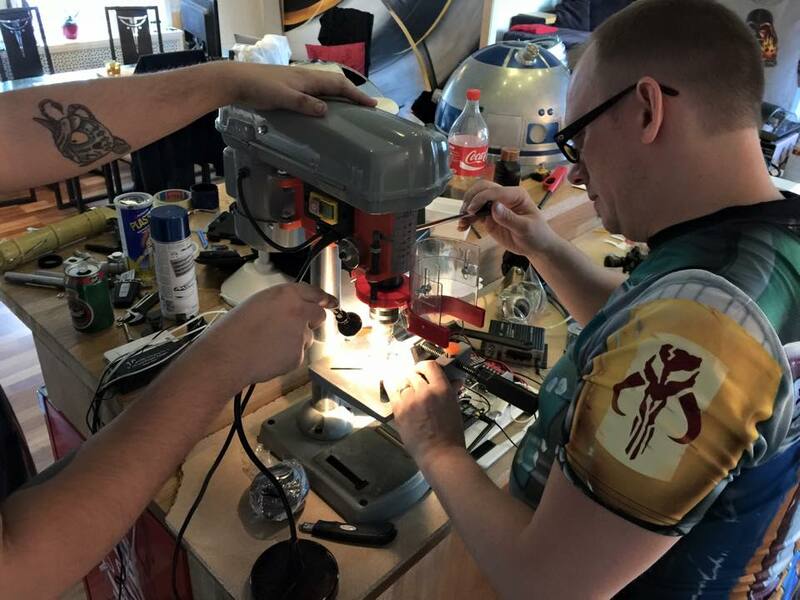 Anyway, We met at Thomas Nixon’s house, and it was Thomas,me (Only builders present with completed droids), David, Micke B and Anton for a weekends worth of building and nerding. Thomas has graciously converted his kitchen/outer hall area to a workshop for us. After looking at what others are doing, I decided to not cut off the second octagon port knob, since Anton immediately said “I can cut that off with my lathe in five minutes next week”. 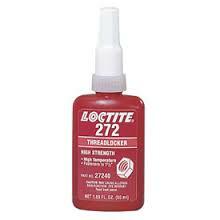 That certainly beats cutting with a noisy dremel for a number of hours! So, off to work on my old wheel plates. Since I had forgotten a few tools, naturally the ones I needed, it took a while to be able to remove the locking sprints, but once the wheel was off, and we managed to get all the treadlocked screws that held the motor in place. Last screw was impossible to move, but since the motor (or at leas the gear box) was messed up anyway, I cut the head off with my dremel, and forced the screw through the hole to get rid of the motor. 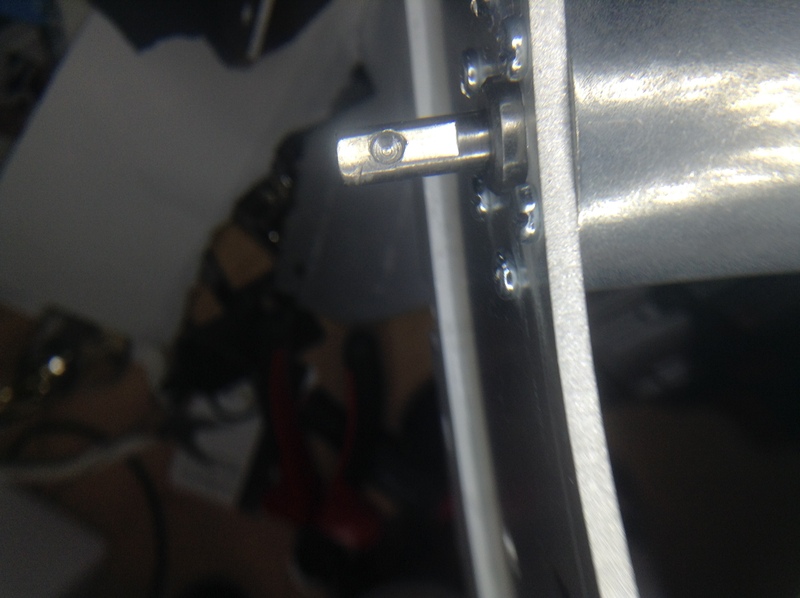 Once the hold in the axel was there, next step was to assembled the motor into the holder, screw in the grub screw (with treadlocker) and assemble the holder. The final re-assembly of the motor holder will be done at home. I also spent some time desoldering the volume pot on my second, bigger amplifier (for the secondary speakers) for my R2, for the similar octagon port mod for the rear octagon port. 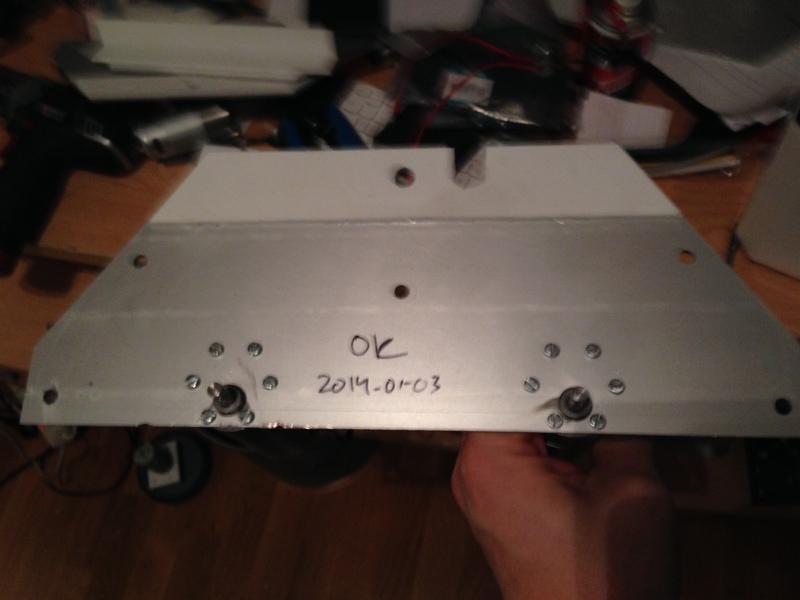 Once that was done, I built a new breakout board for the pot, and did some other small odds and ends, such as painting a few bits and pieces until I considered myself done for the day. After that, it was time to go home and get some well deserved sleep. I had to miss out on day #2 (but I was told it ended quite early), since I had things planned with the family..
All in all a great day. 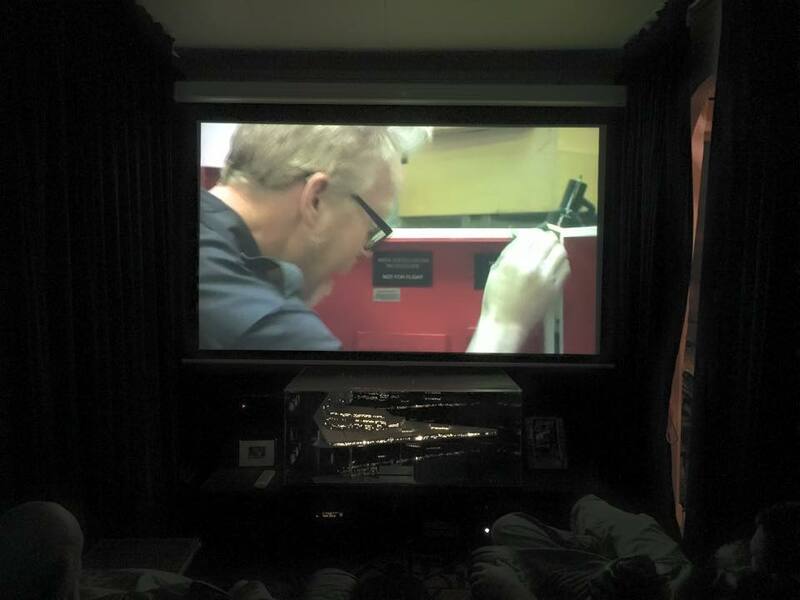 Build pics courtesy of Thomas Nixon and Micke Brodin. 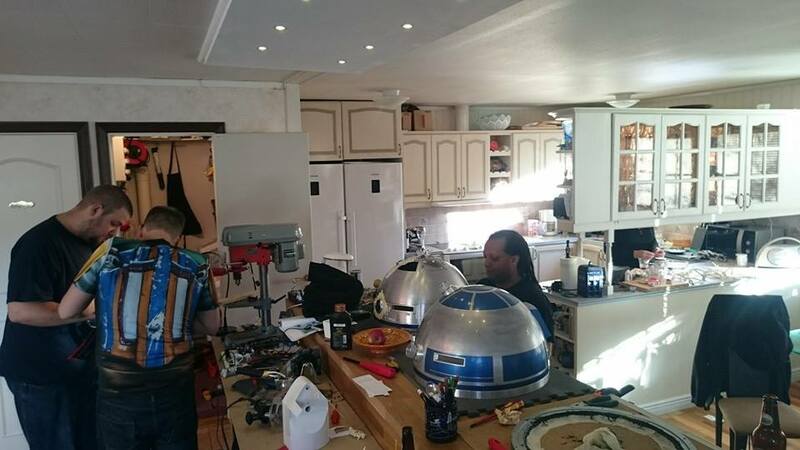 By micke|2016-12-06T00:00:24+00:00March 23rd, 2015|R2-D2|Comments Off on First Ever R2 Builders Sweden Gathering!